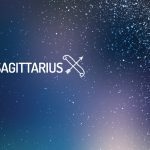 Here, you can find out more about the weekly Horoscope for Sagittarius, from April 15t to April 21st. Every week, WeMystic will bring you the forecast for Love and Relationships, Health and Money & Career. There are people with two faces. Singles: playing games is fun earlier in the week. A good round of Truth or Dare with your friends can be enlightening. If you’ve never tried speed dating, why not give it a try? Latest dating apps can also add excitement to your love life but try to choose those that select other users very well. People may not be who they say they are at the end of the week. Engaged:this is a great time to make some small, friendly bets with each other. Those who win receive massages for a month, or those who lose have to clean after the other. Arriving with rewards (or punishments) is half the fun. Your partner is a lot of fun over the weekend, and you contribute your own fair share of jokes, funny impressions, and general hilarity. It is necessary to achieve your goals. The Universe is demanding that you spend more time developing your most intimate relationships so that you can benefit personally and financially. Making more time for those who could help promote your goals is not just wise, it is also necessary to achieve your goals. You are in negotiations for a better position and come in a great way. This period may bring legal issues to the open. Just as you thought it would be safe to proceed with a business plan, another delay could cause more frustration. Before you get upset, wait a few days and see what happens. It is important that you have a good strategy to achieve your goals. The structure to play and work was all organized for you in kindergarten. This is not to belittle any feelings you may have of being “out of control” – it is to remind you of the importance of structure. You need to establish some necessary boundaries: what is right for you and for your health. The structure needs to be flexible, but very, very strong. Try to take advantage of the integration process of the structure in your life. Do not be surprised if treatments delay or confusion with health problems. If you think a diagnosis is incorrect, get as many opinions as you need. If you’re eating out, find a restaurant that has good reviews.